Advancements in technology and methods are at the very core of the Audio Engineering Society’s efforts, and the 143rd AES International Convention’s Product Development Track will provide a detailed look at the latest innovations in audio product and software development, and the process of bringing those products to market. “The events in this track have a practical, ‘real-world’ focus, and anyone involved in audio product development will gain new insight and understanding of the critical elements involved,” said Scott Leslie, AES Product Development Track chair. “Our Product Development Track spans the entire development process, from concept to Production. Our target audience is anyone who is responsible for product success. As has become the standard for the Product Development Track, all sessions are workshops, where the session presenters lead a discussion that is interactive and at times high-energy. This year’s Product Development Track is part of AES New York 2017 at the Jacob Javits Center in Manhattan, October 18 to 21. 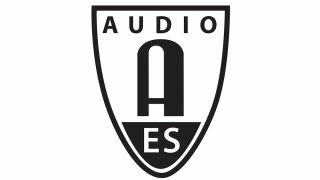 The Product Development Track sessions are part of the full AES NY technical program, comprising hundreds of sessions covering the full spectrum of professional audio. Advance pricing is currently available online, with steep discounts for AES members and an extra special discount for student members. Registration is available at www.aesshow.com.